Peak performances should not be left to chance. Rather than hoping that you will perform at your best, why not engineer your performance? 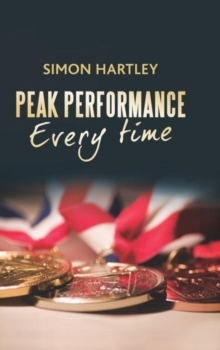 Peak Performance Every Time incorporates principles from sport psychology and performance coaching and applies these to all areas of life. Using illustrations and real-world examples from top athletes and business executives, it focuses on the three main components that underpin performance:ConfidenceMotivationFocus. As well as offering practical strategies to help the reader achieve their optimal mindset, it also explains how to coach others to perform to their potential. Throughout, the book is underpinned by theoretical frameworks, literature and research findings and will be invaluable to anyone trying to reach their full potential, in particular athletes, coaches, managers and executives. It may also be of interest to sports psychology, management and business students.